Here’s a very important set of facts about the Revolutionary War that every person who would call themselves an American should know. During the Revolutionary War, only THREE percent of the people actually fought against Great Britain. Only TEN percent of the citizens actively supported that three percent. Approximately TWENTY percent considered themselves to be on the side of the Revolution, but they did not actively participate. Towards the climatic end of the war, approximately THIRTY percent actually fought on the side of the British. The rest of the citizens had no disposition either way. They didn’t care. They didn’t want anything to do with what they deemed to simply be a political issue. Three percent. That was all that was required to make the “great experiment” a reality. Although the cost was high and against all odds of success, Liberty was given to our country. Ted Cruz is currently holding the floor of the US Senate with an unofficial filibuster to stop the funding of Obamacare. He is receiving support from Marco Rubio and Mike Lee. Three senators out of 100. Three percent trying to make a difference. Do they have the support of 10% of the citizens? My personal opinion is yes. Are 20% of the people against this legislation? The polls put this number at over 50%. 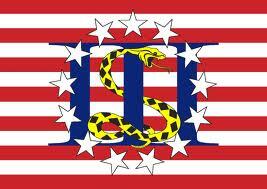 Will Sen. Cruz’s stand against both parties in the Senate be remembered as our Lexington Green? Only if the people understand stand up to support this act of defiance. One thing is certain, the Republican Party has been exposed for what they really support: a federal empire controlling the people. This entry was posted in Editorial, Health Care and tagged Filibuster, Health Care, III, Marco Rubio, Mike Lee, Obamacare, Ted Cruz, Three Percent. Bookmark the permalink. In a stunning change of events, the Reince Preibus and the RNC has publicly backed Texas Senator Ted Cruz in his filibuster attempt to stop the funding of Obamacare, which is highly unfavorable among the American public. This is huge news to the Republican Party because most Americans have demonized the RNC for not accepting and embracing the Tea Party. Can you get any bigger than this? In a fight between Harry Reid and Ted Cruz, I will stand with Ted Cruz any day. Today, Senator Cruz has taken the fight to defund ObamaCare to the Senate floor. I hope you will join me in standing with him in solidarity. Not to diminish your point, but I want to see EVERY Republican senator back Ted Cruz. The silence is deafening. I want Senators to represent the desires of their home State citizens -- to hell with political factions and consensus building . .
Whatever liberty was supposedly gained after the Revolutionary War was lost when the racketeering Rothschilds created their national bank. The Rothschilds are nothing but extortionist hoods.